Data mining has become increasingly significant with the growth of big data industries. As such, these industries are now heavily reliant on the evolution of data mining tactics and techniques keeping up with the modernization of their fields as well as their growing demand. One tactic in particular that has been embraced is the application of enterprise-grade GPUs. (For an introduction to GPUs, you can check out our earlier blog post here). In brief, data mining is the process of uncovering patterns within extensive data sets, while these extensive data sets can be referred to as big data. Big data is characterized by its inability to be processed through traditional means due to its level of complexity. In this way, the act of mining big data poses a particular set of challenges. The main difficulties that are involved with attempting to mine these large data sets have to do with the volume, the velocity and the variety of the data. However, when factoring in the use of enterprise-grade GPUs to aid in the mining process, these problems can be greatly diminished. The amount of data that is involved when referring to big data can be given away by its name – there are massive amounts of data to be processed. This large workload can pose a problem for many industries where budget is concerned as the undertaking of filtering it is more than a standard single CPU can manage. The purchasing of additional CPUs isn’t a cost effective option for the majority of businesses, whereas enterprise-grade GPUs offer not only a more affordable alternative, but a more effective solution as the volume intense task of processing big data isn’t a roadblock for them. Through their numerous Algorithmic Logic Units (ALUs), GPUs don’t require as much power as CPUs to process data and have an architecture that is dedicated to data processing as opposed to CPUs that are more inclined for data caching and flow control. Taking into account the large amounts of data that need to be processed, interpreted and filtered, the timeliness with which this is done can become a burden. Certain industries are controlled by time sensitive tasks, while the bulk of industries altogether aren’t immune to time and resources costing significant funds. Meaning the lengthy turnaround time could result in lost business opportunities in addition to the actual expenses involved with the individuals and hardware allocated to the data processing. However, employing enterprise-grade GPUs can radically improve the lengthy process. With their many cores they have a parallel structure that is predisposed to handling repeated instructions and are perfectly suited for speeding up the workload, solving the issue of timeliness and reducing total costs. Big data is a part of many different industries, and as such the needs and the data itself can vary. For example, companies in the financial district will mine their data with the intention of analyzing spending patterns in order to monitor and prevent fraud and therefore will require different programming than companies in the supply chain and logistics industry where a primary concern would be inventory management or route optimization. With an enterprise-grade GPU, companies have the flexibility to configure the programming to fit their needs. While the programming of GPUs for general purpose computing is considered complex, the opportunities created by taking advantage of their flexibility far outweigh the initial challenges. 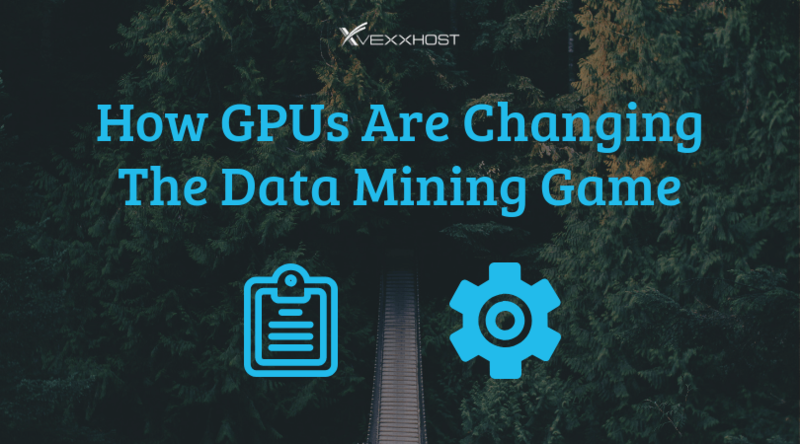 With the evolution of GPUs, their efficiency, affordability and flexibility have lead them to play a key role in data mining and facilitating, as well as accelerating, the processing of big data. The importance of being able to mine big data can be attributed to the fact that many vital fields rely on the interpretation of such information, fields such as science, medicine, finance and business. Through its analysis, it enables these industries to determine business trends, or even work towards the prevention of certain diseases. The application of enterprise-grade GPUs can provide the support these industries need for all their various data mining goals.